Top 6 things men want from women in their life. These tips will help you have better relationships with your boyfriend or significant other. Most men don’t communicate their wants and desires and women understand how difficult it is to get inside your man’s mind to know what they really want. They think women are mind readers and understand their needs and wants perfectly. 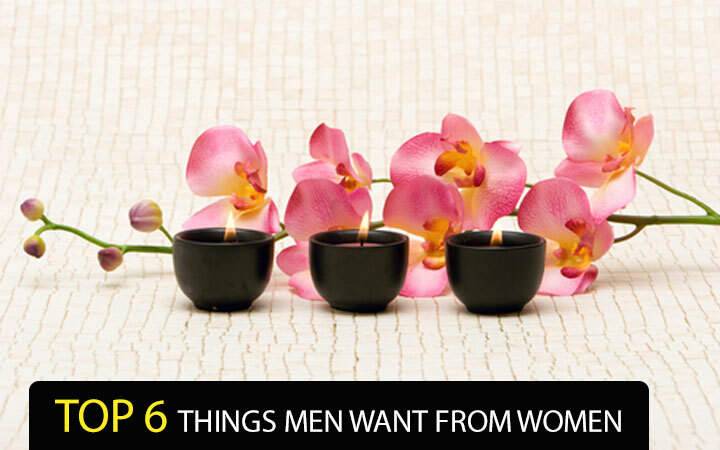 That is why we bring you the top 6 things men want from women. This might help you improve your relationship. This is true. Irrespective of the amount of money they earn, men crave respect from their women. If you don’t believe it, talk with your partner and see his reaction. They want that you give merit to their ideas, actions, thoughts and feelings. Don’t sound cranky. Use a pleasant voice even when you are trying to point out mistakes. Everyone appreciates hearing a pleasant tone that is friendly and sweet. You don’t have to be sweet all the time, but try to work on it. Men respond better when hearing this tone. Most men love companionship in a relationship. He will want you to accompany him wherever he goes or does. He might want you to be on the couch when he is watching his shows or join him for golf on the weekends. Though he needs to spend time with his guy friends, he loves to spend time with you so make it interesting. He loves to be admired but is able to see when you fake it. Thus, they need sincere admiration, so don’t fake it. As long as you give him heartfelt compliments and appreciate him genuinely, you got him pleased. He wants to be out with a good looking woman, so spend some time to look good. They might never acknowledge it but this is one of the most important aspects that strengthen your relationship. Do up your hair, touch up your makeup and be presentable when you go out. He will notice and appreciate you for it. Men want to be encouraged and they love to know that their partner is in their corner, supporting them in their endeavors. They respect your belief in them and the faith you have in their abilities.